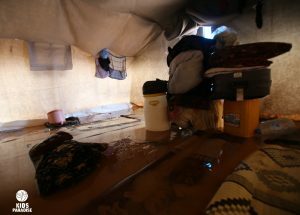 After eight years of conflict, about 30% of the Syrian population are internally displaced. More than 15% of the displaced families are either female-headed or child-headed. 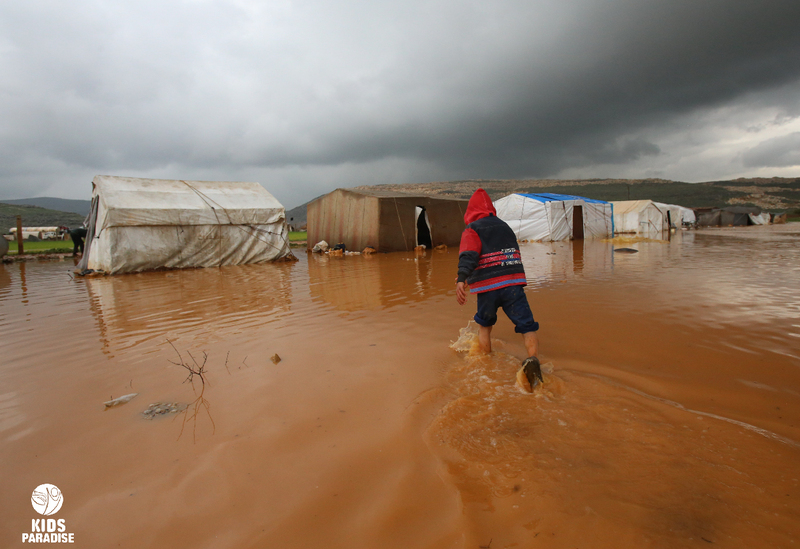 68% live in partially to completely damaged shelters. They were forcibly displaced to find themselves facing a new kind of crisis. 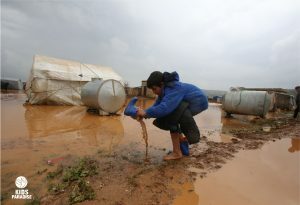 Since the beginning of this year, 2 mid heavy rains in winter hit the areas of north west of Syria. Tens thousands of families affected by the flood. 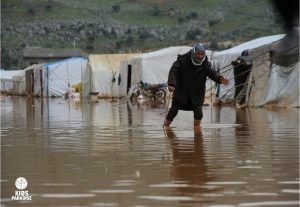 Thousands of tents were partially or completely damaged. Kids Paradise is working tirelessly to help the affected population to recover. For now, shelter, winter kits, food, and water are the most urgent needs for those families, but ultimately, they need to be back in their homes, their lands, and to be together again with their loved ones and families.